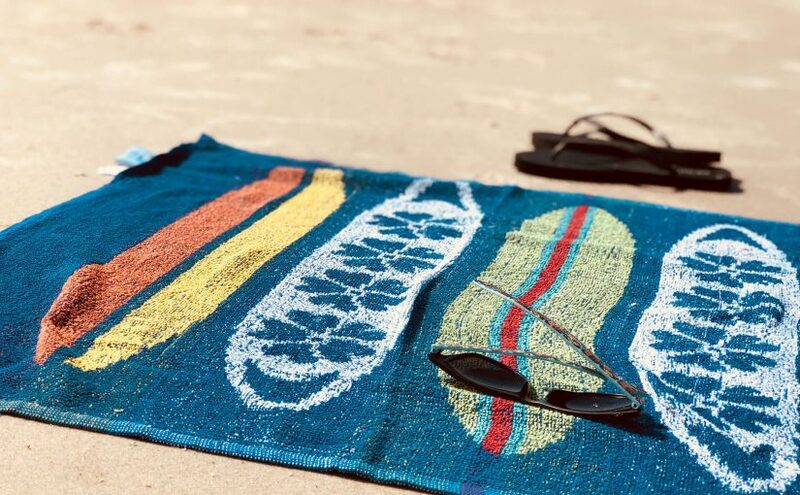 As our dearest customers from the USA liked our previous article about American wellness & hotel fashion article, we wanted to honor their interest by writing about the latest USA textile trend: Turkish towels. We pointed out one of the rising trends in our earlier article. 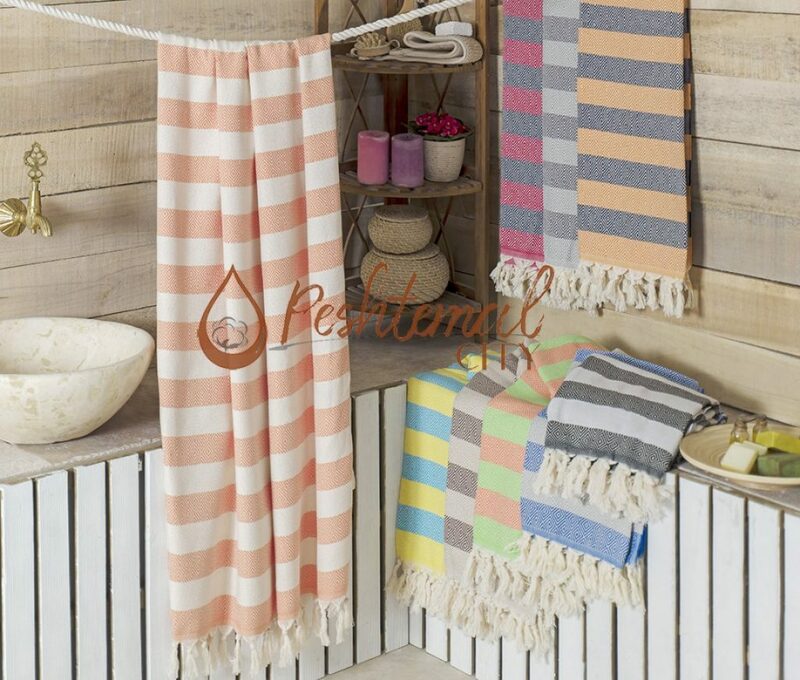 But did you know that peshtemal is taking over the normal towels in many different areas? Do you wonder how you can boost your sales or make your customers happy with our latest fashion and high-class Turkish towels? This week, we’ll point out how you can use our Turkish towels to enhance your business capacity for many different facilities! First thing is first. We’ll first shortly write about the texture and the manufacturing process of our top-line Turkish towels. 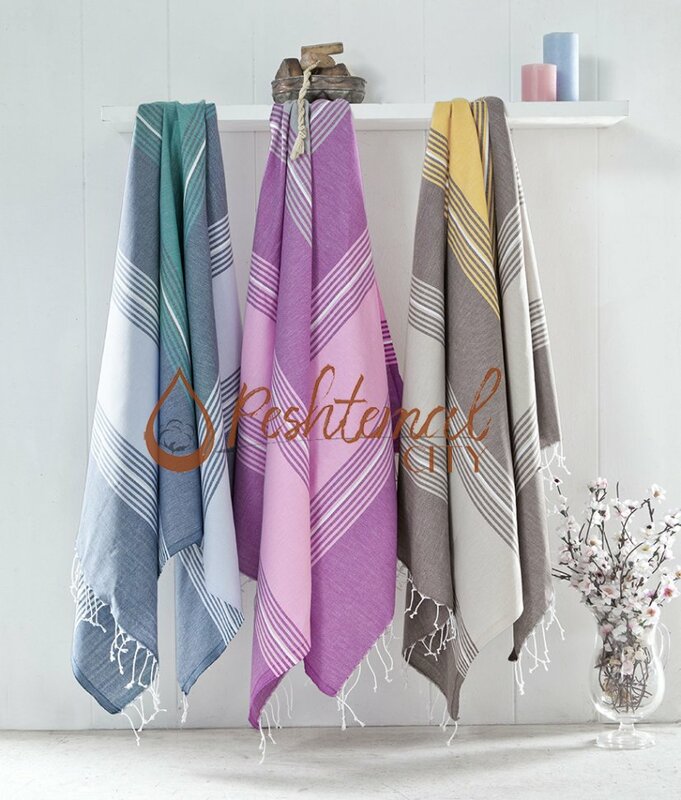 As a wholesale manufacturer of peshtemal, we carefully pick healthy, anti-allergen and nature-friendly raw material to manufacture our Turkish towels with. 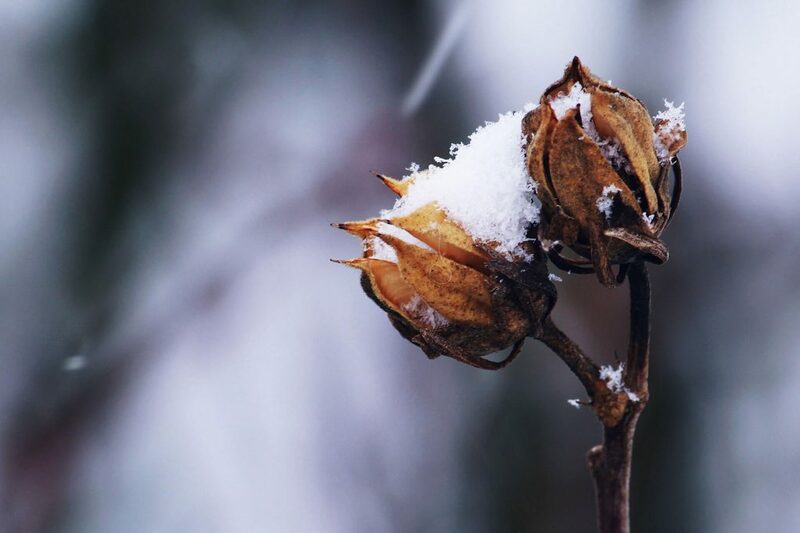 We hand-pick the best Turkish cotton in the market! Result? 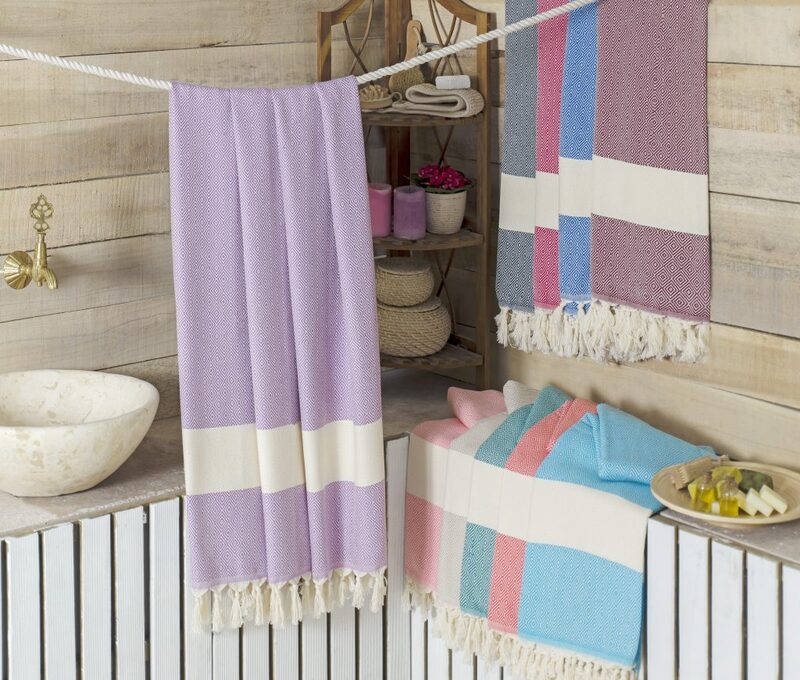 Feather-weight, soft, absorbent, durable and miraculously quick-drying Turkish towels! The most comfortable towels you can offer to your customers are woven with Turkish cotton we pick! 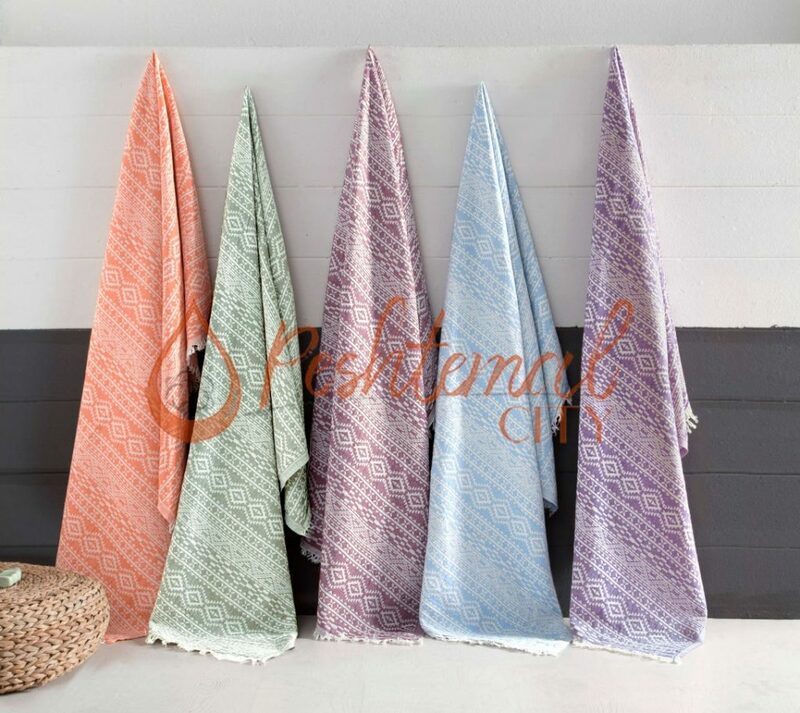 After weaving our luxurious products, we send them to the best dye-house in Denizli/TURKEY to apply the designs on the heavenly comfortable texture of our Turkish towels. 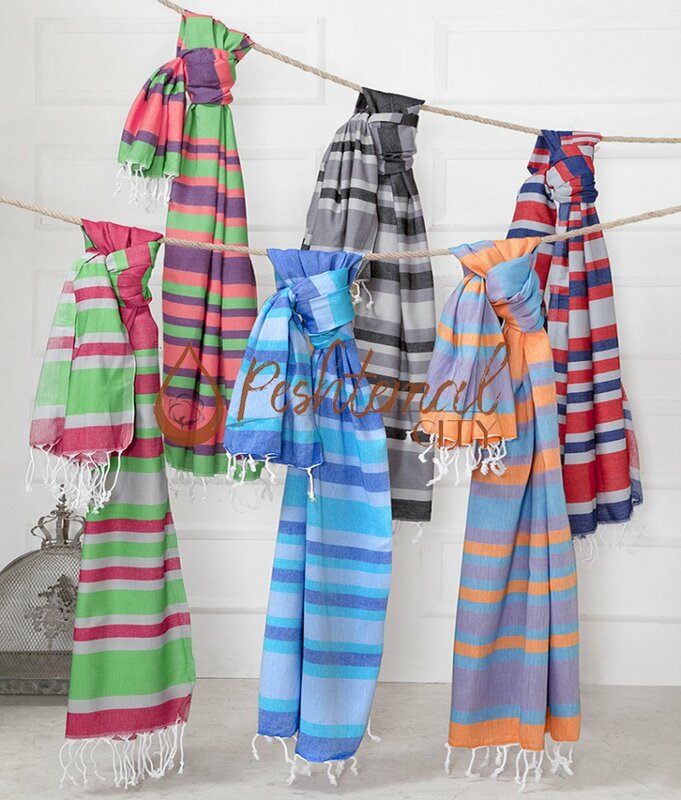 Dyed with anti-allergen and nature-friendly dyes, our peshtemal designs are not only breathtaking but also safe to use! Our towels can be used confidently 24/7! 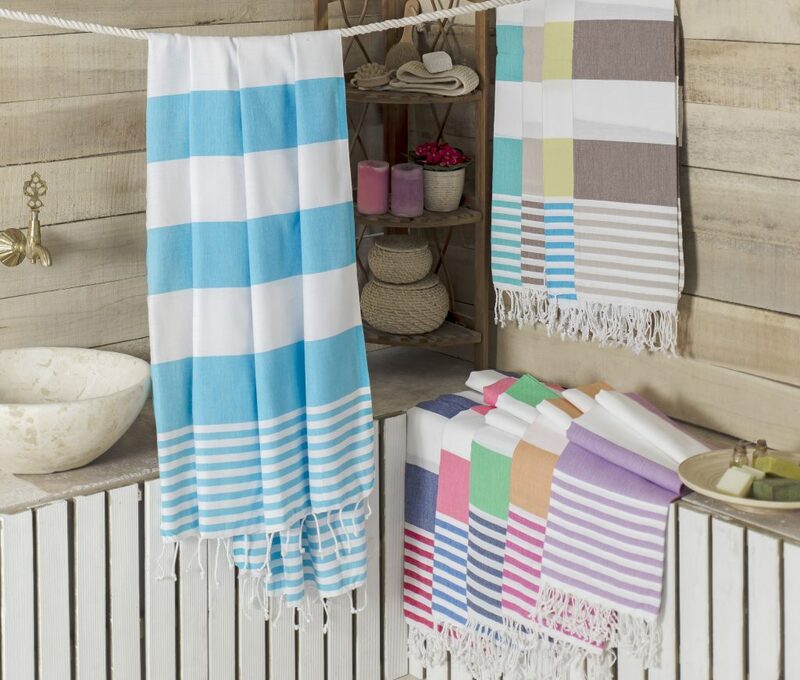 In short, once you start offering our Turkish towels to your customers, or decorate your facility with them, you’ll notice the happiness on your customers’ faces! Enough about the texture already, right? We’ll now discuss which of our designs are the perfect match for your line of business! 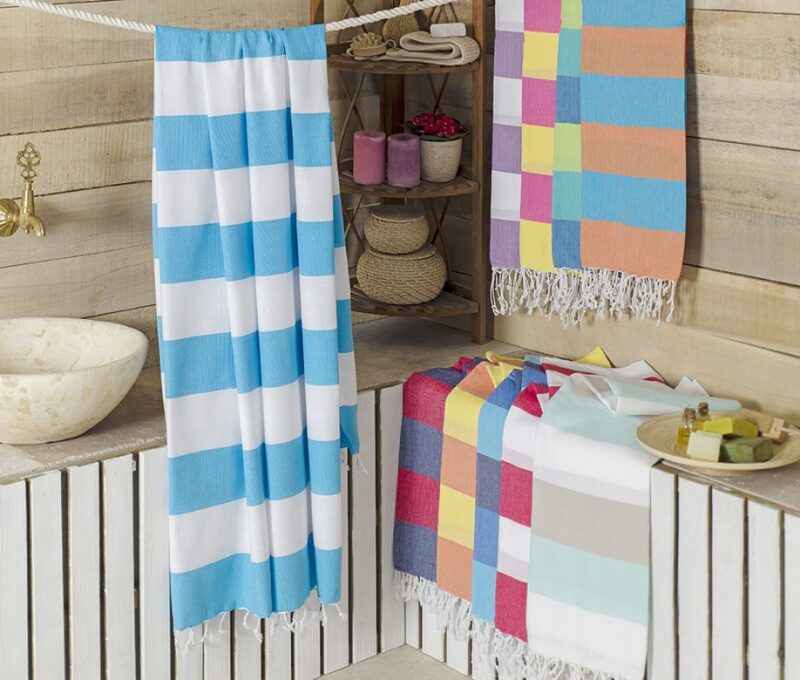 As we said earlier, we have a comprehensive article about the benefits of choosing Turkish towels for hotel rooms & bathrooms and wellness centers! You can read our former article for detailed information about our top-selling hotel textile products! Do you run a Spa? Perhaps a Roman or Anatolian hammam? 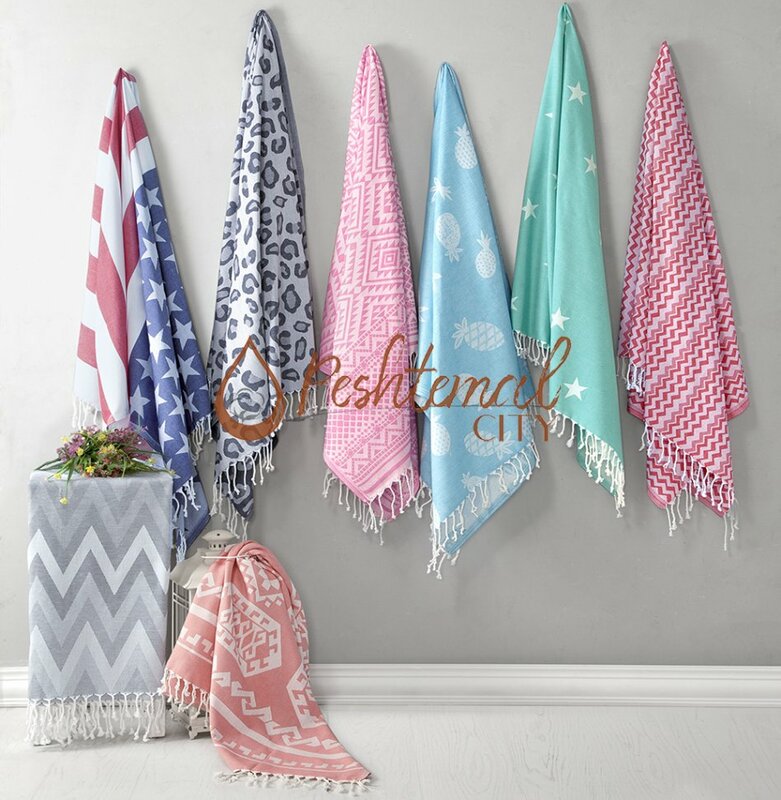 We offer you some of the top-selling traditional hammam towel designs that you can decorate your facility with. 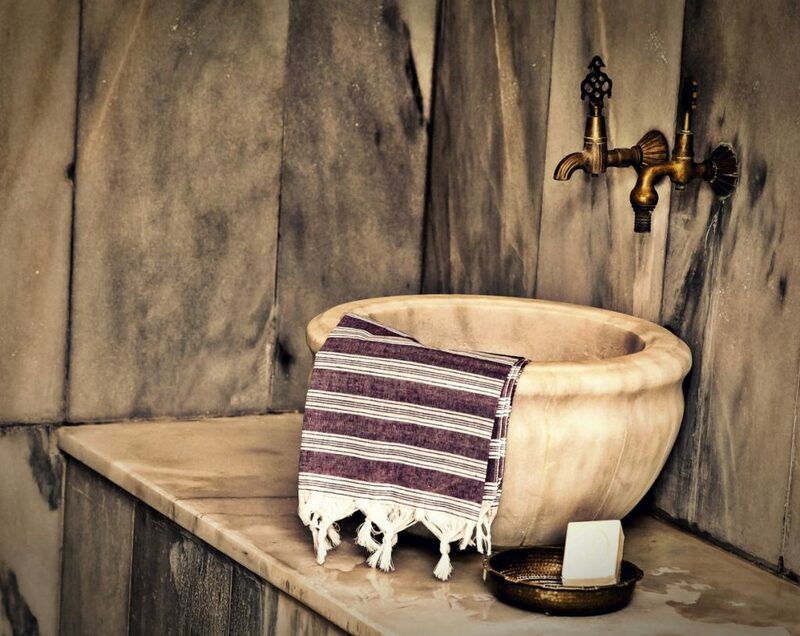 Did you know that Turkish towels are also known as hammam towels in some parts of the world? The reason for that is Turkish towels were first used in hammams as towels and to wrap one’s body with! 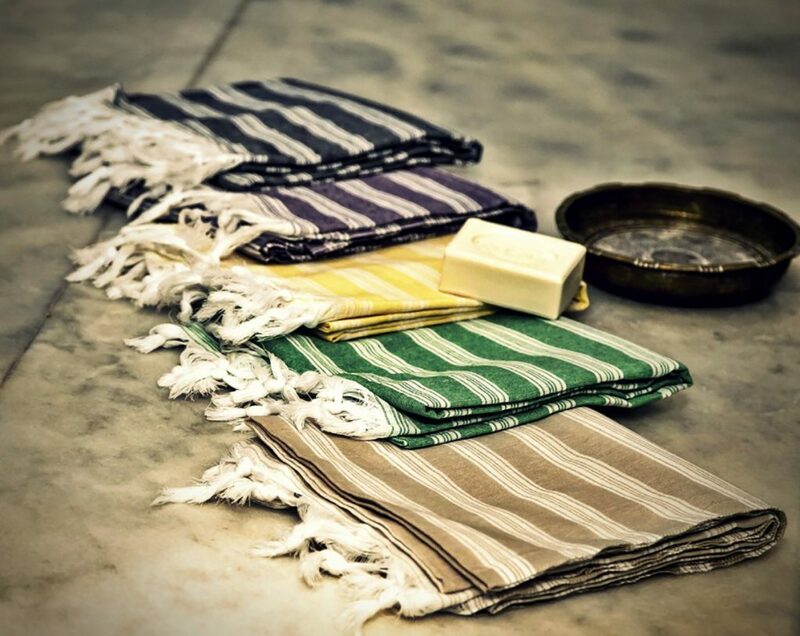 Once you decorate your facility with the hammam towels we manufacture and wholesale, you’ll not only decorate your facility accordingly but you’ll also be offering the most comfortable visit to your customers! We’ll now put some of our top-selling traditional hammam towel designs for you! If you want more information about the hammam towels we manufacture and wholesale, you can read our article about hammam towels & Roman baths! 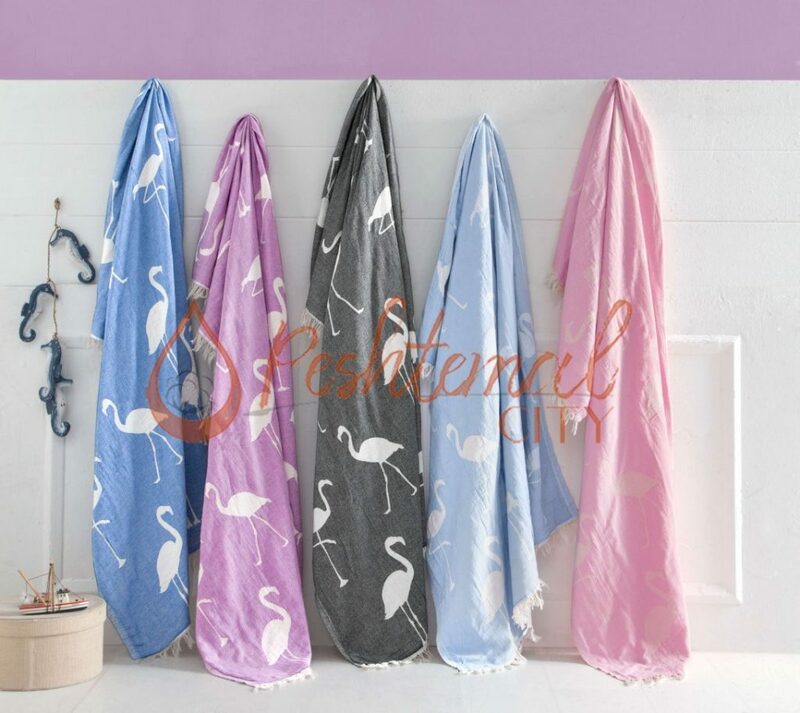 As a wholesale manufacturer of Turkish beach towels, our R&D department follows the latest fashion trends to come up with breath-taking designs for you! 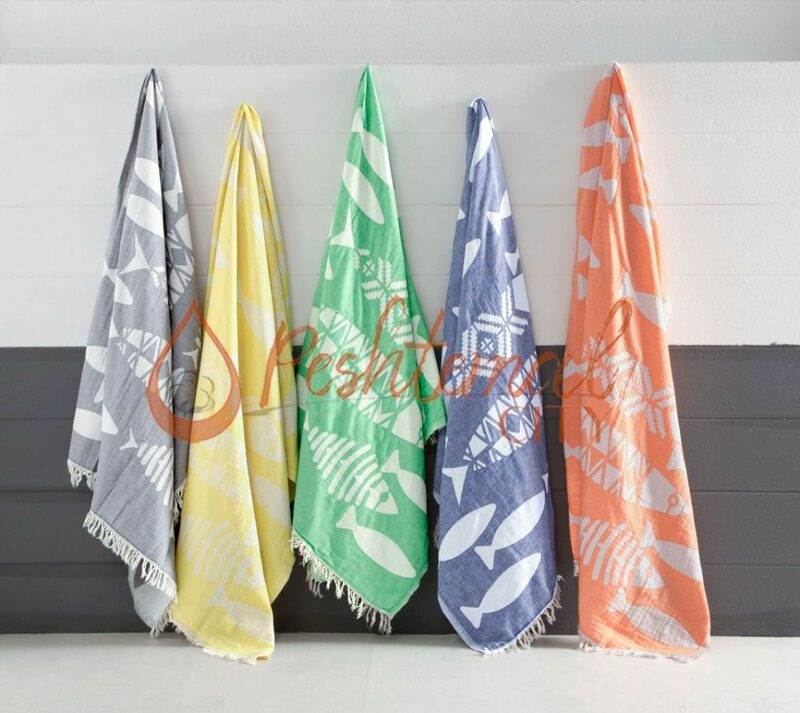 And their efforts give you an opportunity to decorate your beach clubs & pools with vibrant, eye-catching and lively towels! 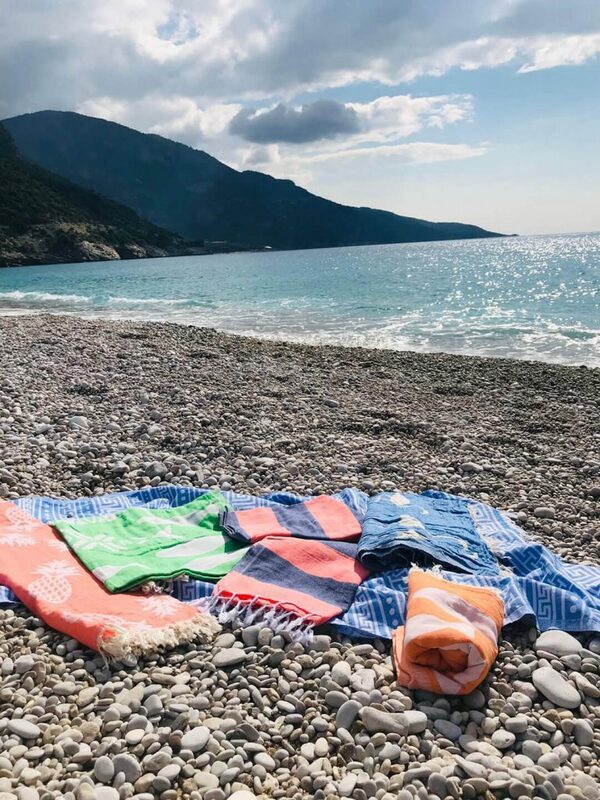 As we have a wide collection, and we offer a wide color spectrum for all our products, you can easily choose the Turkish beach towel that suits your needs! 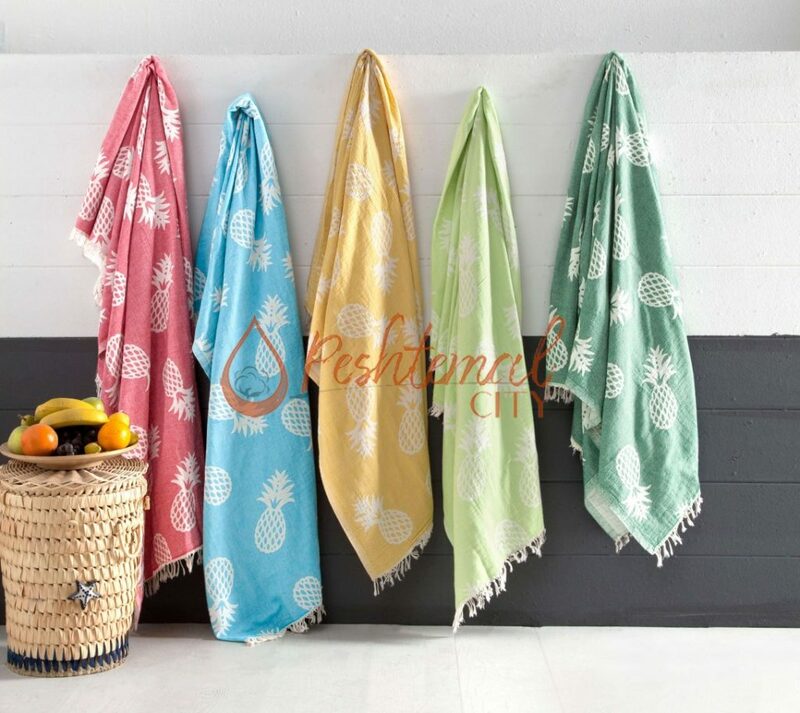 We’ll display some of our latest fashion and top-selling Turkish beach towel designs for you. If you liked what you read and saw, you can read our beach fashion article for a more detailed article! Do you run a restaurant or a cafe? We’re sure that you offer delicious food & beverages to your customers and make their days perfect! But did you know that you can enhance your business capacity with a small touch? It is always good to surprise your customers with chique decoration and comfortable service! 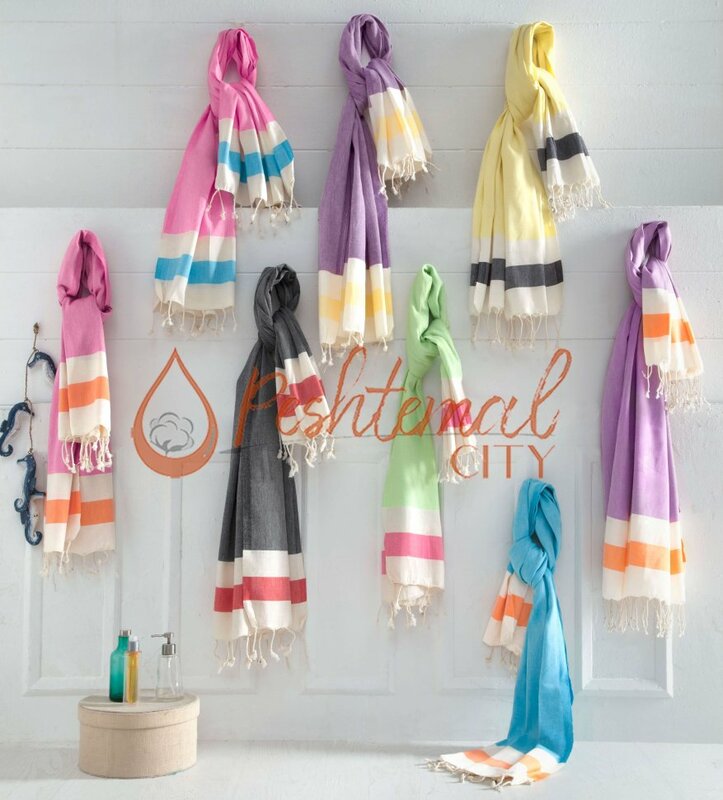 Once you decorate your business with our eye-catching & heavenly soft Fouta towels, you’ll notice that your customers will start getting more relaxed in your cafe! Happy customers equal more profit, right? 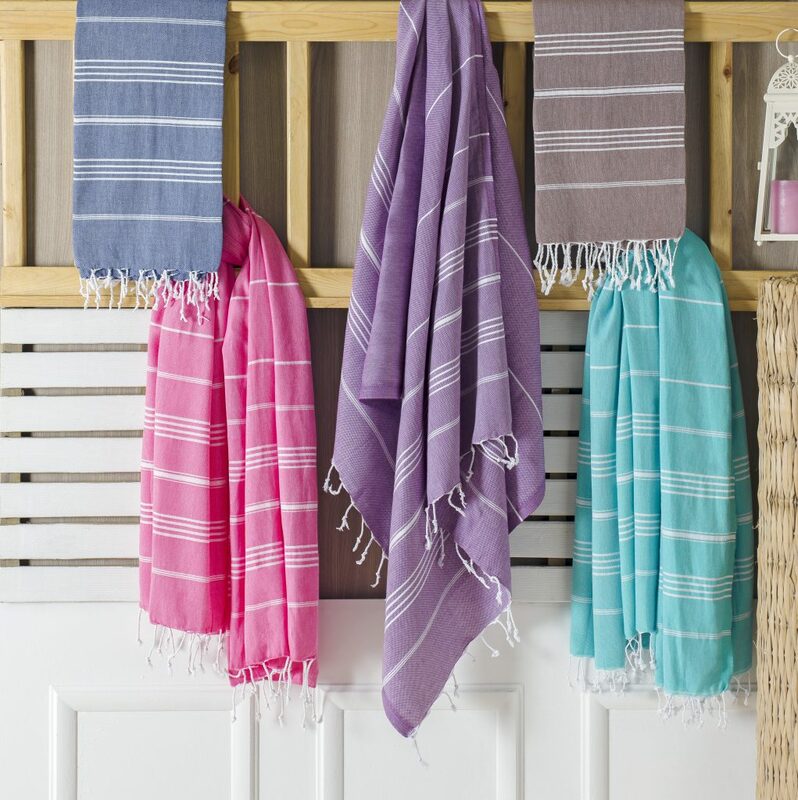 We’ll now put a gallery of our most-preferred Fouta towels for you! Did you like what you read? Please contact us if you have any questions! 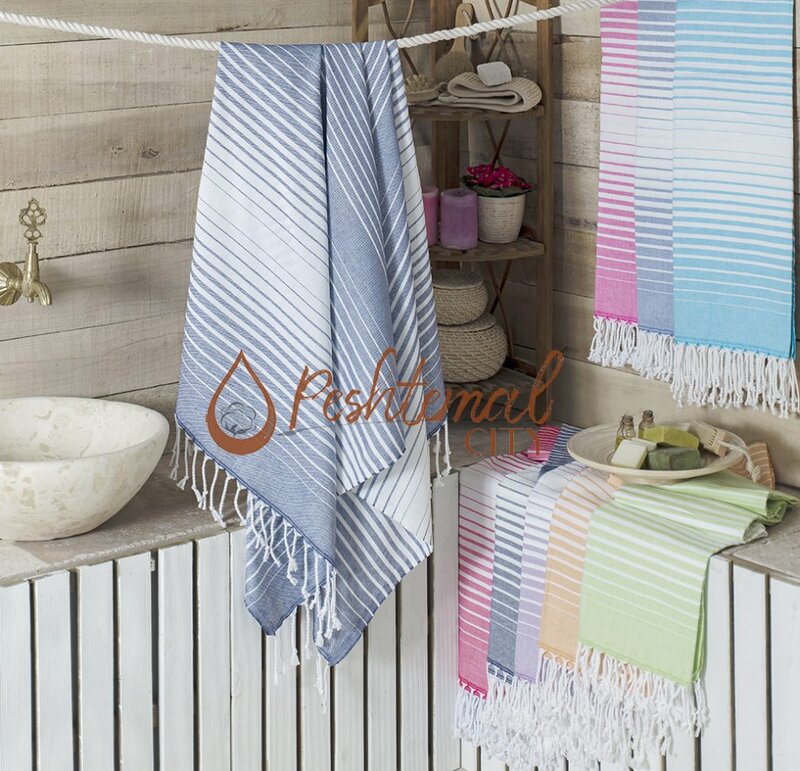 We’d be happy to answer your questions about the Fouta towels we manufacture & wholesale! Are you a retailer? 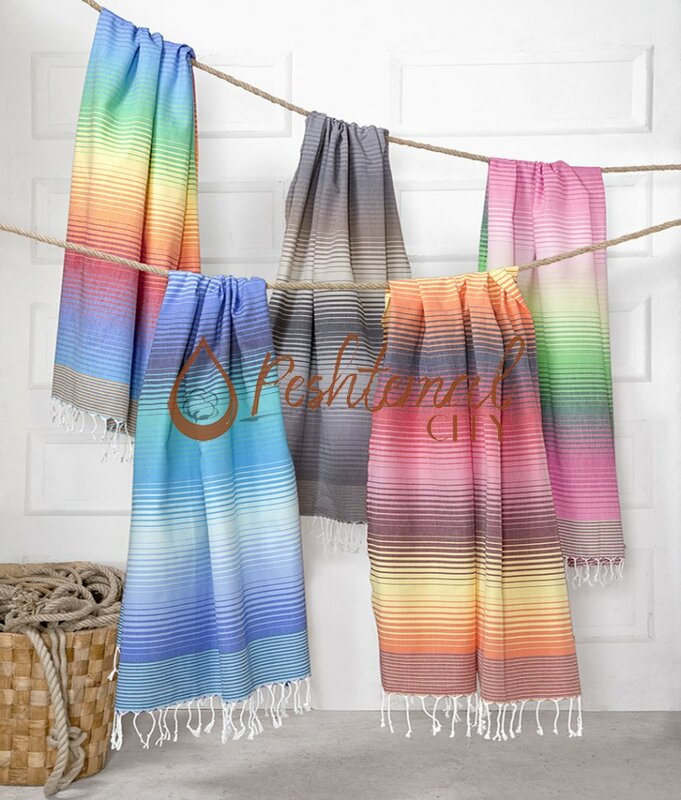 No matter if you have a shop or an e-commerce site, we assure you that you can enhance your sales capacity by widening your collection with the peshtemals we carefully manufacture for you! 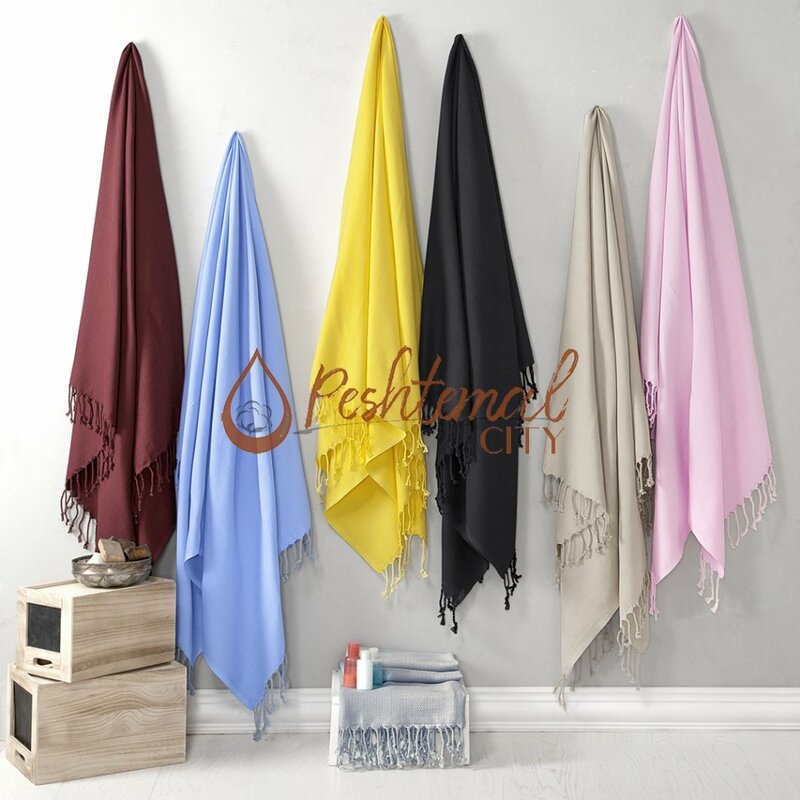 As a wholesale manufacturer & wholesaler of peshtemal, we follow the latest trends for you! 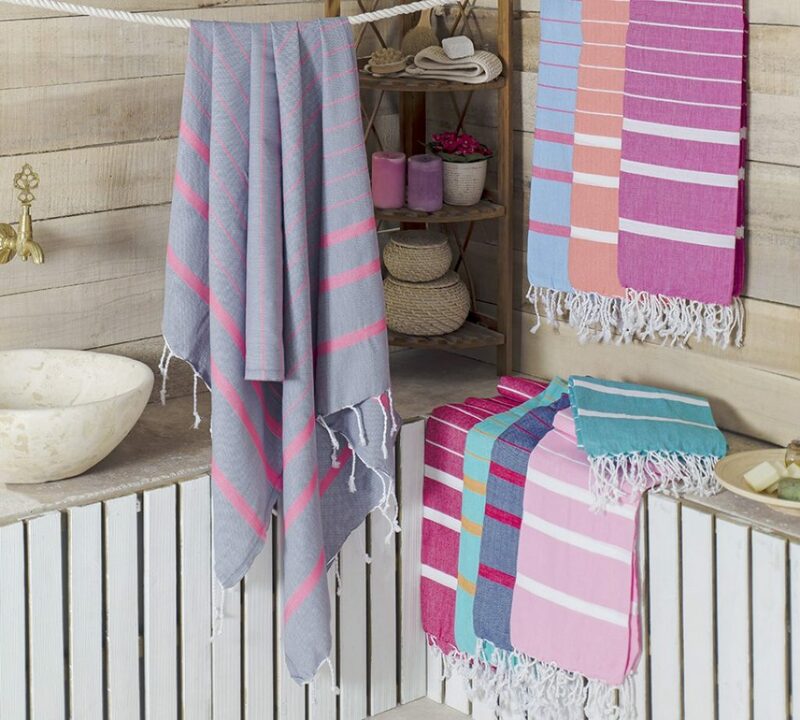 We can confidently say that peshtemal are taking over normal towels in Europe! 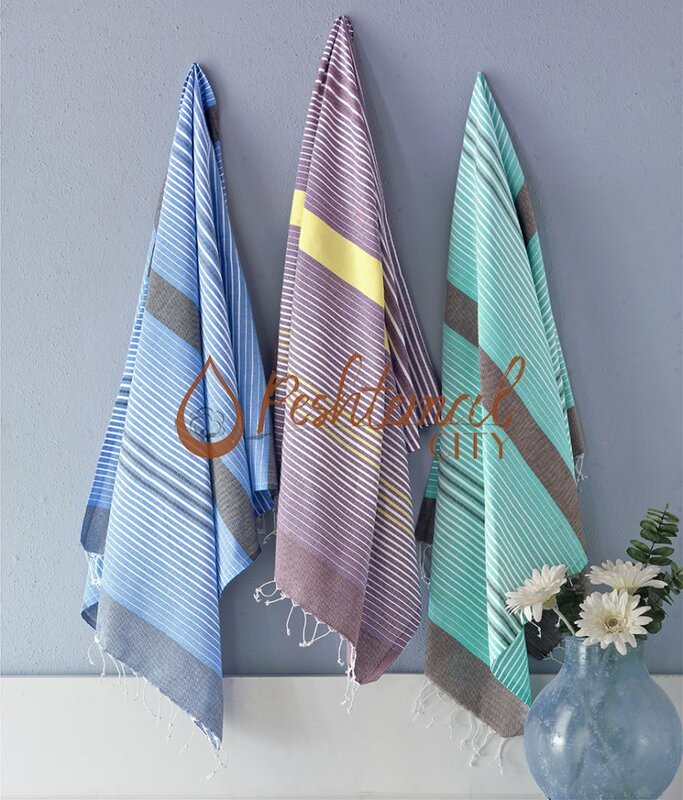 We’ve mentioned about the texture of the peshtemal we manufacture and wholesale. As people go to gyms, or swimming pools more day by day, they start choosing peshtemals over normal towels! Why? 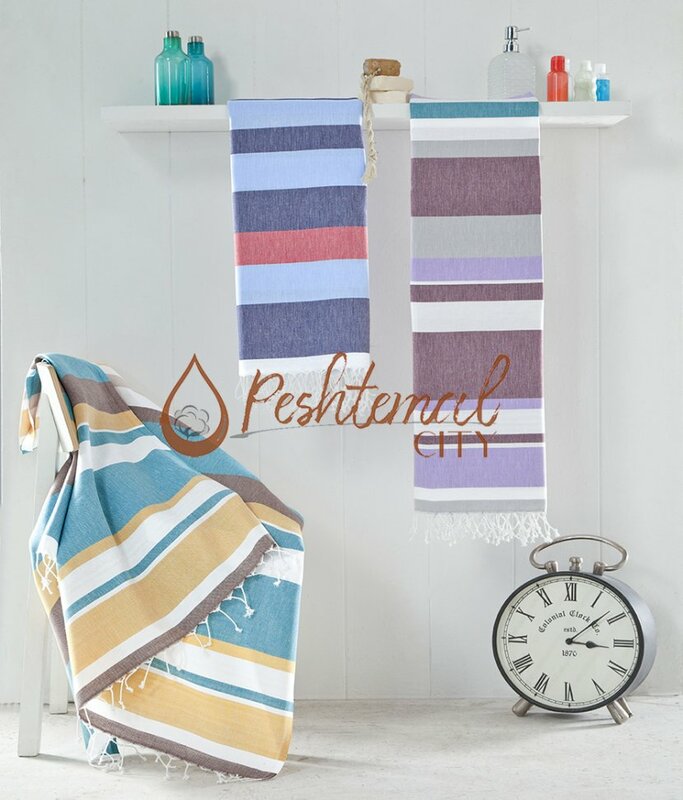 Because peshtemal are miraculously quick-drying, feather-weight and absorbent! Think yourself going to the gym, working hard to achieve the summer body you’d like. And drying yourself with a heavy, and fluffy towel. First of all, it is hard to carry them around. And as they never dry out, they start to smell bad after a couple uses! 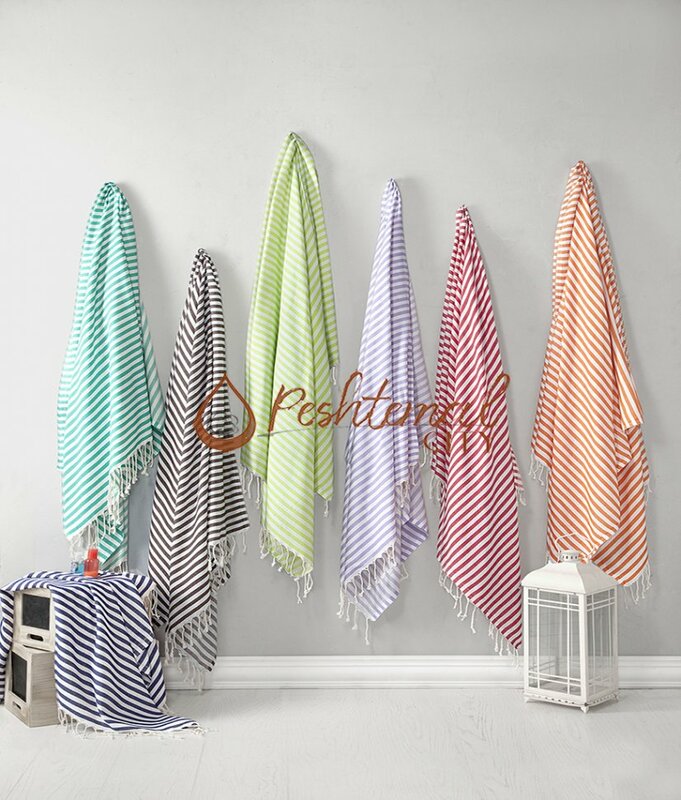 Peshtemal takes care of that kind of problems with its easy to pack and quick-drying texture! In short, it is getting more preferred by people day by day! We’ll be leaving some of our peshtemal designs below for you. If you don’t want to be late for the latest textile trend in Europe and the USA, you should contact us! 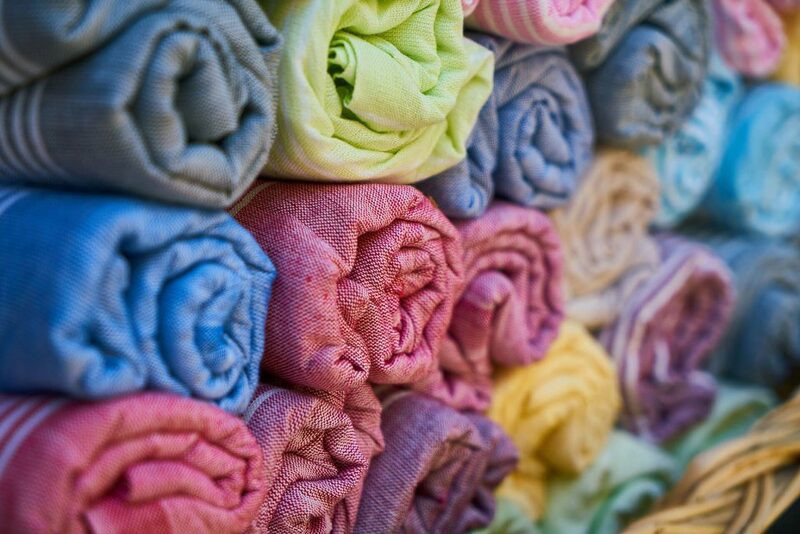 We’d be happy to answer your questions about the peshtemal we manufacture and wholesale! 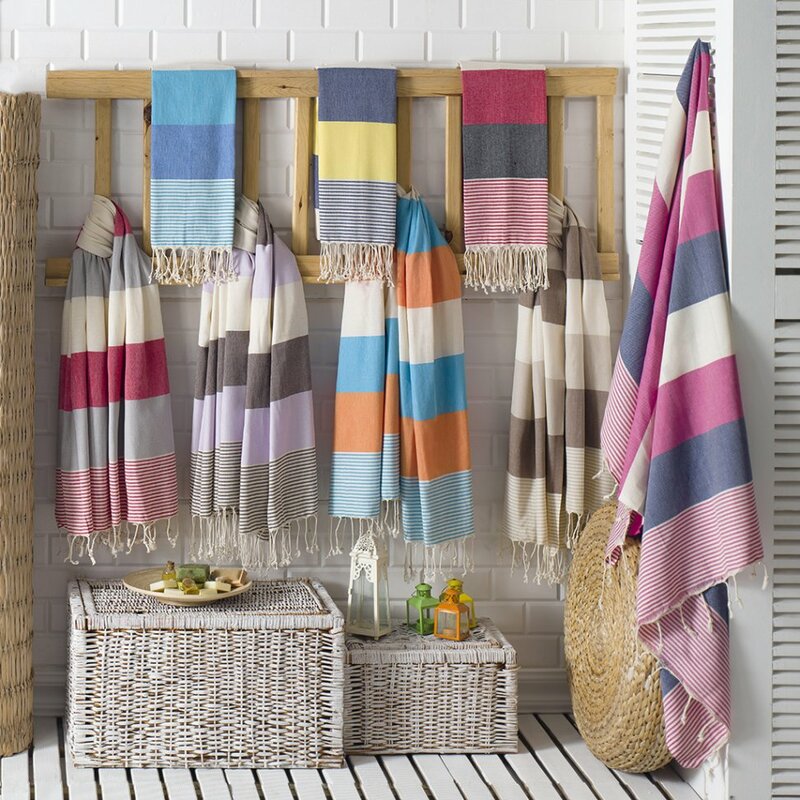 You can read a detailed article about the benefits of widening your collection with our Turkish towels by clicking the link! It is our tradition to mention a couple of things before we finish our articles. This week, we intend to keep that tradition going. If you have any questions about the Turkish towels we manufacture and wholesale, you can easily find our mail address by visiting our “contact” page! You can discover our entire collection by simply visiting our “products” page! 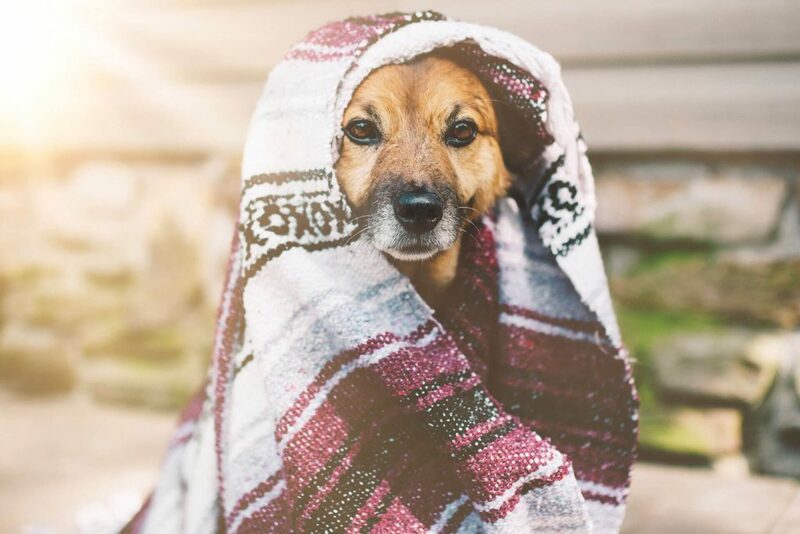 Did you know we also manufacture and wholesale bathrobes and blankets? You can also find them on our website! Peshtemal City, the peshtemal manufacturer & exporter, wishes you a happy year!